This entry was posted in Blog and tagged Behind the Curtain on December 31, 2012 by Maqlu. 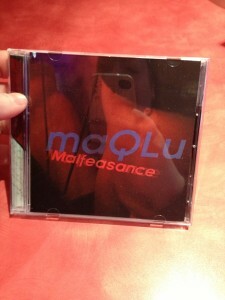 This entry was posted in Blog and tagged Malfeasance visuals on December 28, 2012 by Maqlu. This entry was posted in Blog and tagged Black Heart on December 27, 2012 by Maqlu. This entry was posted in Videos and tagged Malfeasance on December 21, 2012 by Maqlu. This entry was posted in News on December 21, 2012 by Maqlu. 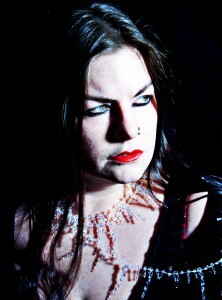 New stuff: “Sapphire” off the upcoming album Malfeasance. I was going to hold off on this one til the release date of February 1, but meh, it was written as a dead-of-winter sort of song, so what better day than today? 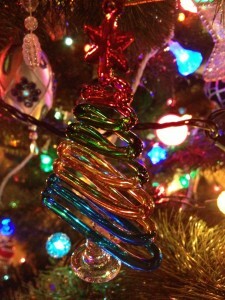 This entry was posted in Blog and tagged visuals on December 21, 2012 by Maqlu. This entry was posted in Blog and tagged other people's shows etc. on December 21, 2012 by Maqlu. This entry was posted in Blog and tagged Malfeasance on December 17, 2012 by Maqlu. This entry was posted in News on December 17, 2012 by Maqlu. “Work Rewarded With Chains” is an excerpt from a longer piece, Shrug, that I’ll debut in January on CiTR Radio’s 24 Hours of Radio Art. This entry was posted in Blog and tagged visuals on December 16, 2012 by Maqlu. Took the night off making noise to get the tree up at home. It’s a mannequin. No, it’s a synth. No, it’s both. This entry was posted in Blog and tagged Simulacra on December 13, 2012 by Maqlu. 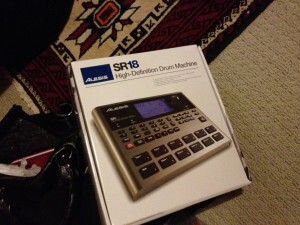 This entry was posted in Blog and tagged Toys on December 12, 2012 by Maqlu. This entry was posted in News on December 10, 2012 by Maqlu. “Moral Consent Withheld” is an excerpt from a longer piece, Shrug, that I’ll debut in January on CiTR Radio’s 24 Hours of Radio Art. This entry was posted in Blog and tagged Behind the Curtain Remixes on December 9, 2012 by Maqlu.